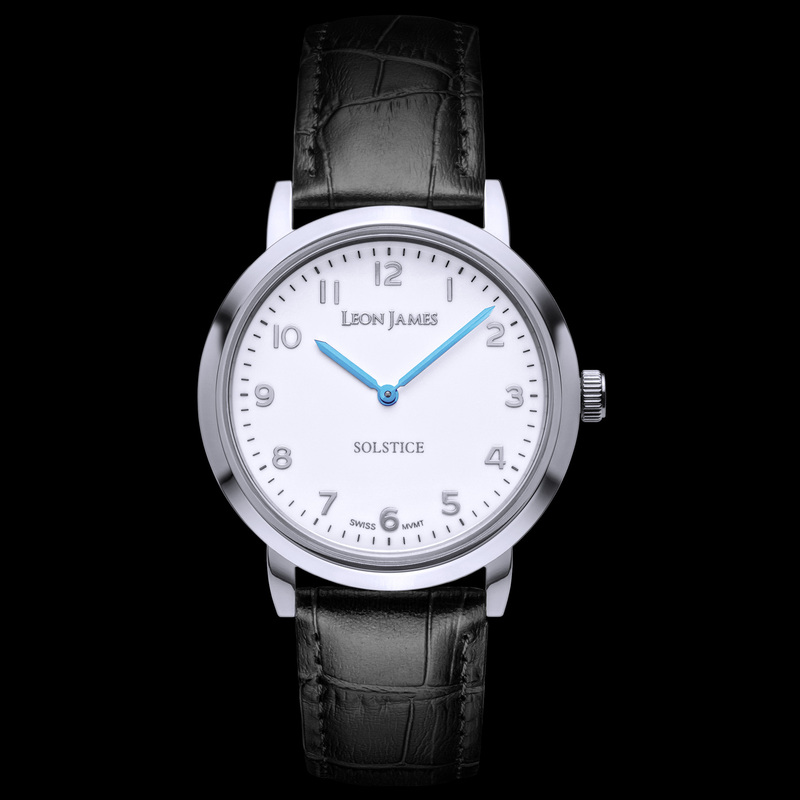 Solstice quartz watch featuring a white ceramic dial with silver numerical markers, silver plated hands and sapphire glass. 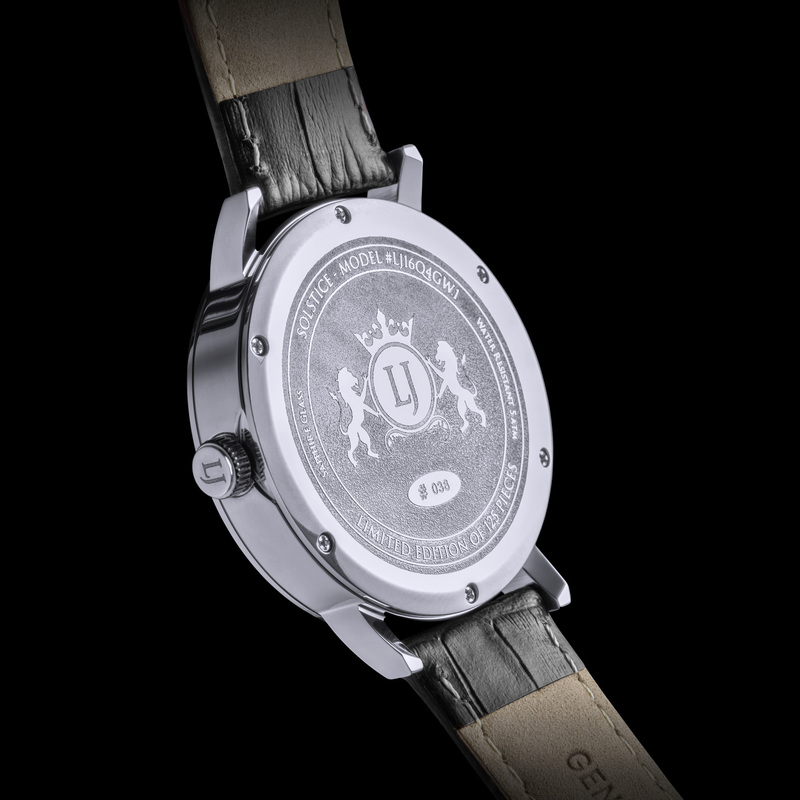 Silver plated stainless steel case with a black crocodile-print genuine Italian leather strap with a silver plated stainless steel butterfly clasp. 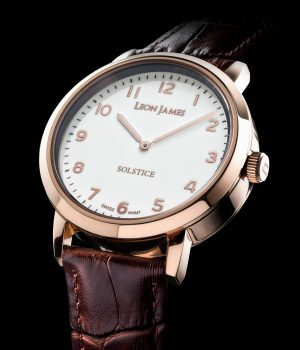 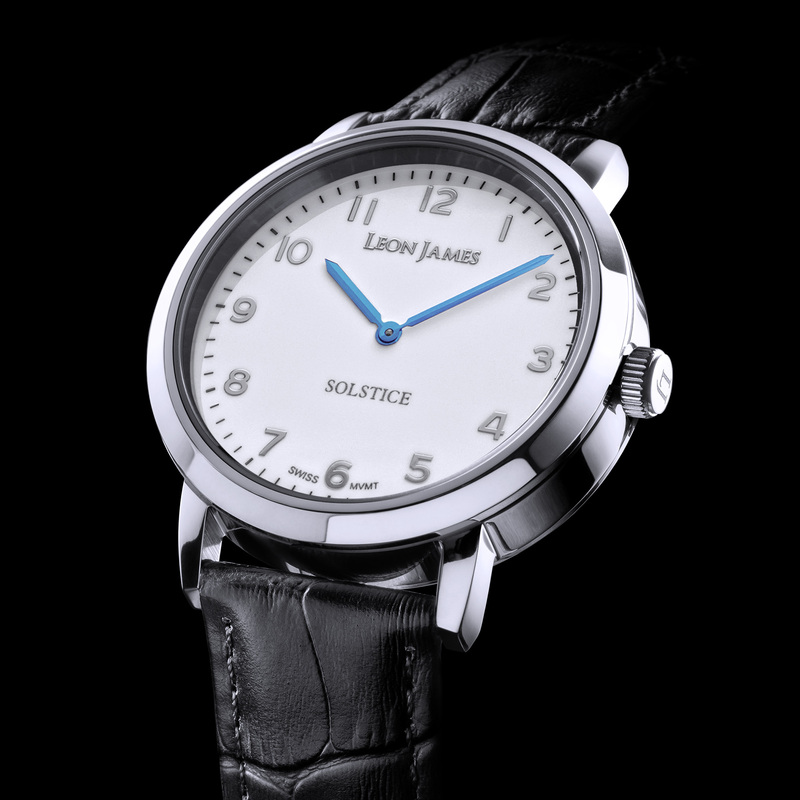 The Solstice has a fully-engraved case back with individual engraved edition number. 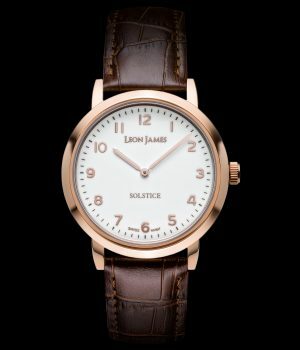 Each watch comes in a piano lacquered wooden box with cream interior.